Florence McClain is an experienced litigator and trial attorney. She has handled various types of cases including general liability, premises liability, products liability and toxic torts. She leads the asbestos practice in the San Francisco office of Lewis Brisbois. She also serves as one of three national chairs of the Asbestos practice for Lewis Brisbois. 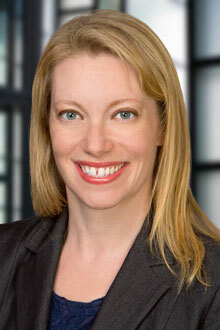 Her primary practice focuses on environmental and toxic tort litigation with an emphasis on the defense of asbestos defendants in addition to handling other matters. Throughout her career, she has successfully represented manufacturers, distributors, contractors and premises owners in suits including multiple-party litigation involving exposure to a variety of toxins. Florence has been involved in all phases of litigation from hands on case management, the supervision of large clients such as contractors, premises and product manufacturers/suppliers, trial, settlement and appeal. She oversees the litigation pending against some of her clients throughout the country, serving as national coordinating/monitoring counsel. Lead trial attorney involved in all phases of pre-trial and trial preparation. Monitoring and coordinating counsel in multi-jurisdictional actions for various clients. Prepared or supervised multiple appeals and writs based on jurisdictional and discovery issues, including published appellate decisions. Appeared as trial counsel through pro hac admission in multiple states for clients.